....having fun while raising money for 'Above and Beyond'. 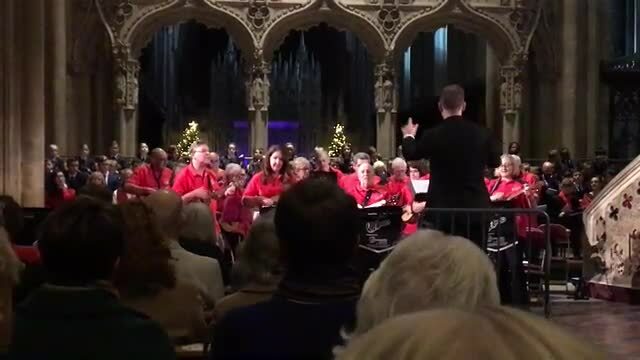 Thornbury Ukeaholics performing 'Keep the Flame' at the 'Above and Beyond Christmas Star Concert' at Bristol Cathedral, December 2018. 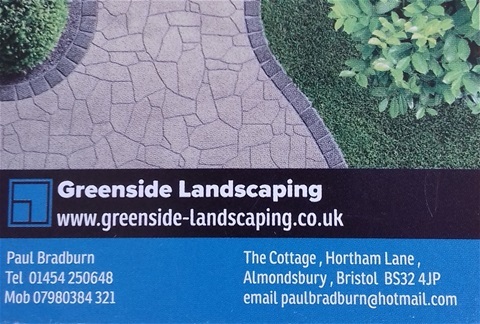 Thornbury Ukeaholics ukulele group is sponsored by 'Greenside Landscaping'. ....meet at The Wheatsheaf in Thornbury, on Thursdays at 8.00pm. 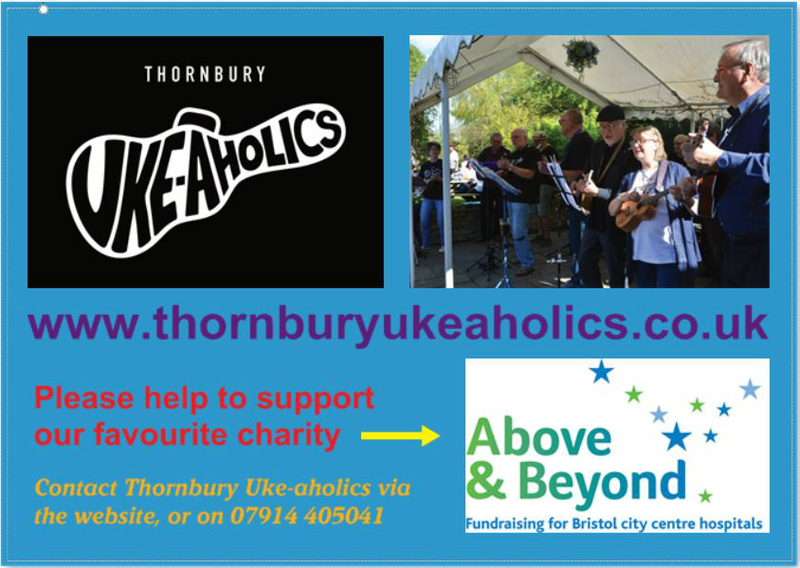 ....don't charge for our performances, but ask for a donation to be made to our favourite charity, 'Above and Beyond', which is the local hospitals’ charity supporting patients at Bristol’s city centre hospitals. ....ask for a donation on most Thursdays of £1 per person to pay for this website, PA equipment, business cards, posters etc. 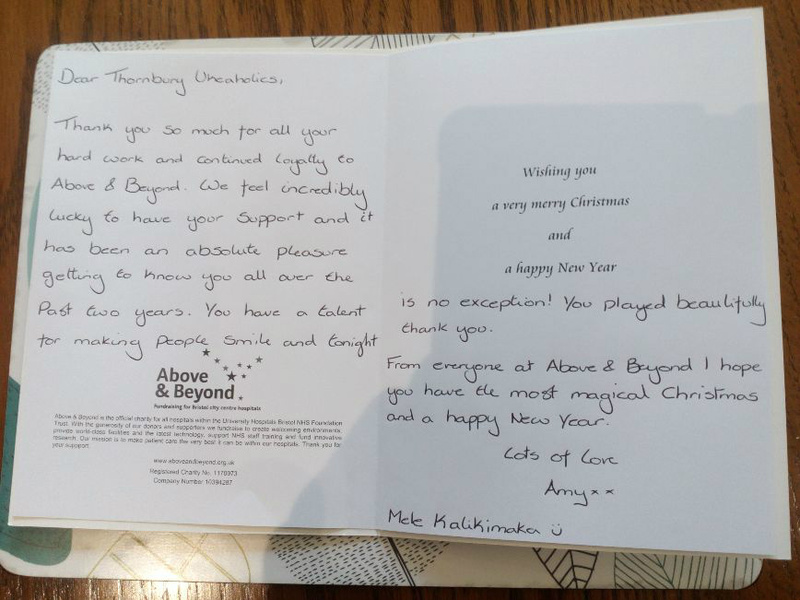 Any money left over at the end of the year will be donated to the 'Above and Beyond' charity. ....would be delighted if you could join us on Thursdays with your ukulele in the Thornbury Wheatsheaf. 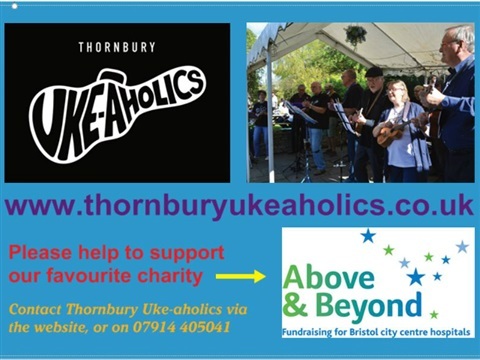 ....have so far raised over £6000 for 'Above and Beyond'. ....are sponsored by 'Greenside Landscaping'. 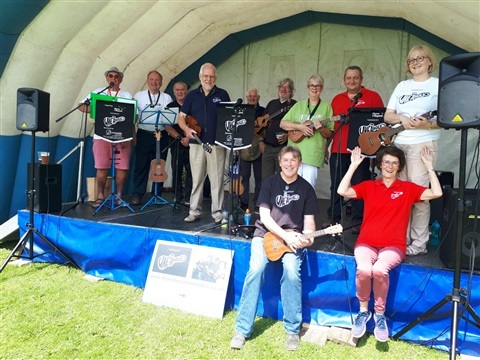 "Thornbury Ukeaholics, are you any good?" someone asked me the other day! Just spoken with Chris....Saltford £105, Old Down £150 and Tortworth £225, that's £480 in April alone! All for 'Above and Beyond'. Any good?! No need to reply is there?